Received birthdat wishes from friends and family. Thank you and love you guys. I'm officially one year older. Ok.. It's pretty scary to get older these few years LOL..
My mummy was on her off day, so daddy called to see if we would like to have dim sum together. 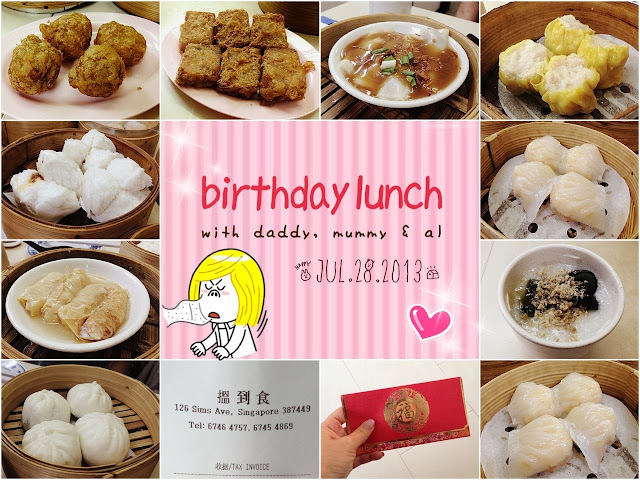 We brought them to 126 dim sum at sims avenue. First time going there for lunch. Pretty crowded but luckily we were able to get a table. 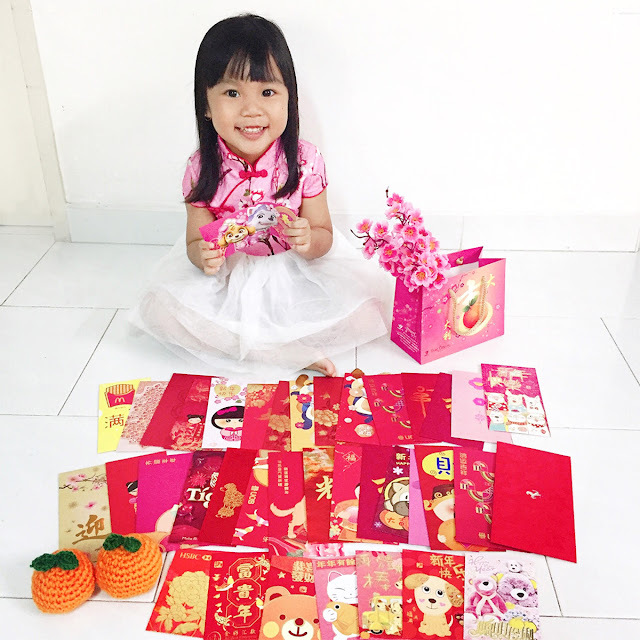 Got a red packet from my parents. 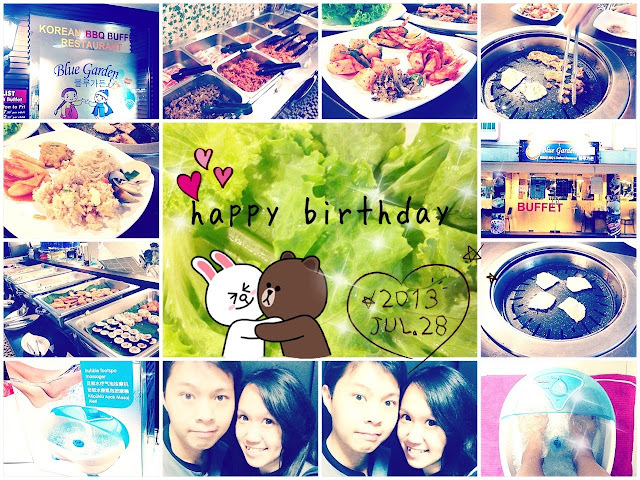 Dinner with the hubby at Blue Garden Korean BBQ Buffet at Link Hotel. Pretty nice place but not really the best place for korean bbq buffet. Hubby gifted me a feet bubble spa massager. Hoping to ease my lousy painful ankles. So sweet. Love you lots.